Blackcap is one of the most attractive hills on the south downs. This route reaches it from Cooksbridge station, using a newly created path. The walk then continues over the Downs to Lewes. The walk features the work of the Monday Group. 5.5miles 8.9km about 2 hours, a number of stiles, one steep climb. Can be muddy after periods of rain. At the beginning of 2015 trains only ran to Cooksbridge in peak hours, but there was a campaign to change this. Trains ran from London, Croydon, Haywards Heath, Lewes, Seaford, Eastbourne and Hastings. Trains run from Lewes to these places and also to Brighton. Buses run to Cooksbridge from Lewes bus station. The 121 to Newick and 125 to Barcombe services both run at a 2 hourly frequency from April 2015. There is no service on Sundays. 1) If you are arriving on the bus, walk back south from the bus stop, to cross the railway level crossing. Immediately after the crossing turn right up a footpath. If you are arriving by train make your way to the London bound platform and exit the station via the gap at the road end of the platform. Turn right along the footpath. At the end of the path turn left over a stile. A plaque tells you that the stile was erected by the Monday group, a group of volunteers who go out on Mondays to do footpath maintenance work. This is the first of a number of stiles on your route that they have erected. You are now in a field. Slightly to your right you can see a road and a pond. Head for these and cross a further stile. Cross the road. Slightly to your left is another stile. Cross this and walk along the right hand side of a field, following a stream, hedges and trees. At the end of the trees turn right on a small bridge over the stream. Ahead you can see a gate on the right hand side of a wood. To the right of this is a telegraph pole. They are linked by a fence and hedge. Aim halfway between the two. As you reach the fence you will see two stiles. Cross them both. Now aim for the attractive farmhouse of Tulleys Wells Farm, which you can see in front of you. Ahead, above you, on the top of the downs, you can see a circle of trees. This is Blackcap. As you get near to the farmhouse you can see a stile in the fence which leads onto a drive to the farmhouse. Cross this stile and then cross another one on the other side of the track. 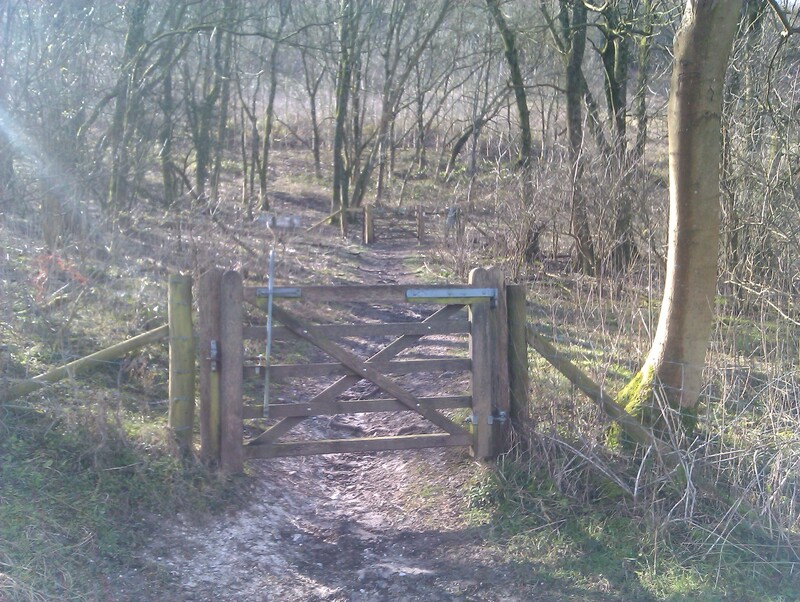 Once you have passed these stiles you will see a further stile, diagonally to the right across the field corner. Go over this further stile and turn left along the drive. At the end of the drive turn right along the grass verge by the side of the road, walking past a house. Ahead of you there is a footpath sign. This is a new path created by the South Downs National Park. It will be maintained by the Monday Group. Follow the path through the woods next to the road. The path emerges onto a verge next to the road. You can see that there is also a verge on the other side. As you need to cross the road, cross at any point that is safe and continue in the same direction. 2) Pass a house on your left which is situated on what used to be the old road. Keep on the verge of the new road. After this house you will see, on the left, a farm gate and a smaller bridleway gate to the right of it. Go through to the old road here. Turn right past farm buildings. At the end of the farm buildings the old road bears right, but your route is straight ahead through a small bridleway gate. After the gate you must turn left. You now follow an obvious track which initially goes straight ahead and then bears right after two gates to begin the ascent of the Downs. Views open up as you climb and you may want to stop at various points to admire them and recover your breath. When you reach the top you will see a way-post. Turn right here on open grass, aiming for the highest point on your right. This is Black Cap, one of the most attractive summits on the Downs. 3) When you are ready to leave Blackcap look back along the path that you came. You can see that this path continues along the edge of the downland ridge and goes through trees. This is NOT your onward route. Your onward route goes slightly to the right of this. You should be able to make out the route through the grass. It aims for open, treeless downland. 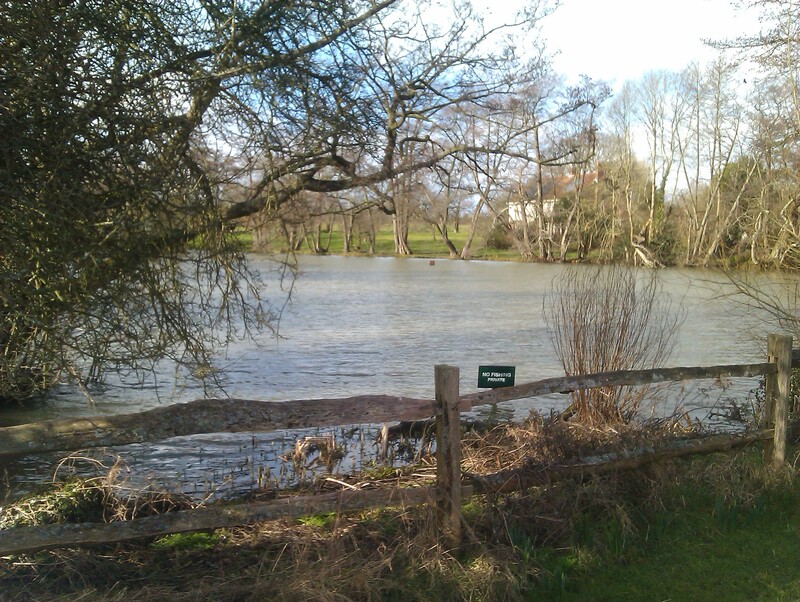 You may be able to see the racecourse and Lewes in the distance. Follow this route, going straight ahead at any junctions. The route descends through bushes and then runs along the side of the old Lewes racecourse. It was this racecourse, rather than Brighton that was actually the scene of the racecourse gangs made famous in books like “Brighton Rock”. Come to a junction where a track goes off to the left. Keep straight ahead here, towards the racecourse buildings. You cross a road and come to a hedge, where a sign directs you to walk along the left hand side of the hedge. 4) Follow the bridleway as it runs parallel to the old racecource. Towards the end it bears left and joins another route coming in from the right to descend to the edge of Lewes town just behind Lewes Prison, a gaunt old Victorian building. 5) Come to a road. Cross it. Ahead you will see Spital Road, which heads into town. After about 100 metres this merges with Western Road, the main road through Lewes. Continue to walk into town. You will see bus stops along the side of the road. Most of the buses running from Lewes stop at these. On your right the stops serve buses to Brighton and Cooksbridge, on your left the stops serve the town centre, Ringmer, Uckfield and Tunbridge Wells. If you are not getting on a bus continue straight ahead, passing through a point where the road narrows and is policed by traffic lights, past the castle and some interesting shops which you may wish to inspect. Come to traffic lights in the centre of town, at a four way junction. Turn right here down Station Street. At the bottom of the hill keep straight ahead to reach Lewes Station. You can find out more about the Monday Group here They are always looking for help and donations.